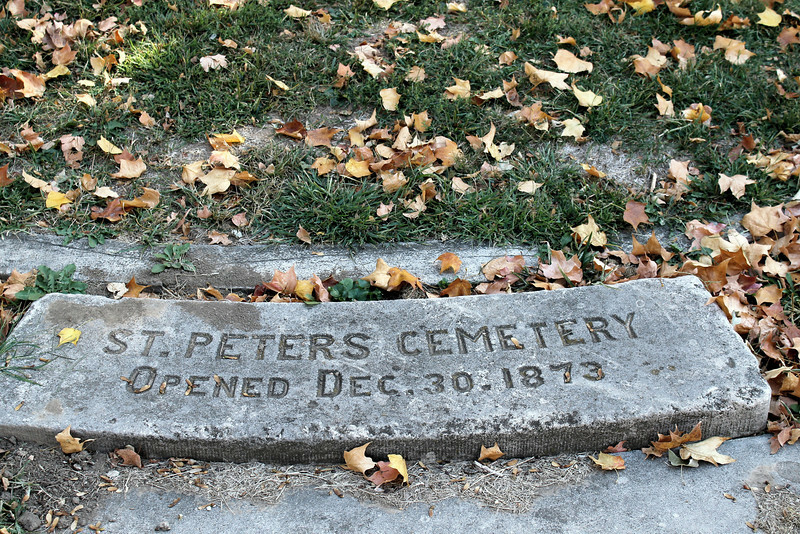 St. Peter's Cemetery is on the south side of Broadway street, next door to a Kentucky Fried Chicken and across the street from a Friday's. (This is not social commentary--just help for anyone trying to locate it.) St. Peter's Church itself is several blocks away.